Thanks to a curse brought upon him by the Overlord- Takoda has access to a form alternate to his regular one. 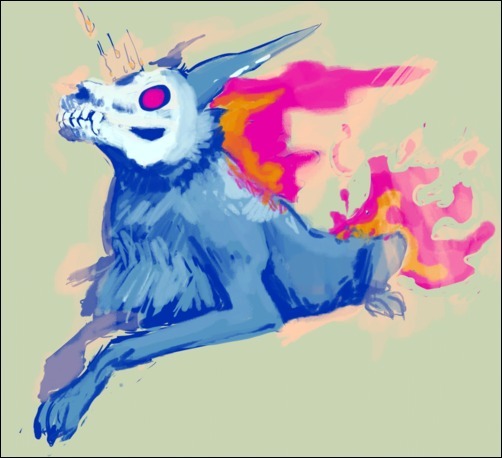 His hellhound form looks like, you guessed it, a very large wolf, ignited on it`s tail and back with fire. In order to access that form, a copious amount of dark Mana and energy is needed- which, luckily, Takoda is not exactly short on. In this form, he primarily attacks using his rather largely sized claws, wailing on his opponents and catching them off guard with powerful, unpredictable maneuvers and techniques. He can take a lot of damage and dish out just as much, making him a useful tank in a team position. He is, however, a large target-- and using the form for too long will eventually exhaust him, leaving him even more open to attack. He`s at his most useful in a fight when transformed, but can hold his own without transforming. Takoda relies on his strong instincts as opposed to any strict fighting style. He is untrained but spontaneous when it comes to his human form`s fighting style- though his recklessness in a way makes it easy for him to throw off more calculative opponents. When it comes to his transformed self, he`s been trained to control when he transforms at the very least, but not much aside from that. It used to be worse. Takoda is an excitable and friendly boy, though he lacks emotional maturity and often acts on impulse. He eats when he`s hungry, sleeps when he`s tired, plays when he`s bored, and is fairly irresponsible. He`s at his best when someone else is looking out for him-- which is good, since he very quickly attaches himself to people he`s only recently met. Takoda has a very strong sense of community- and though he tends to come off as selfish due to his childish nature, he`s incredibly loyal and devoted to any friends he makes-- and on top of that, has a strong sense of justice. Due to his lonely childhood, he`s constantly looking for a place of belonging, and has insecurities about his roots- while he feels a strong connection with his tribe, his isolation growing up makes him unsure. He knows he has a destiny of sorts to uphold as Sol`s guardian, but also feels weighed down and overwhelmed by the responsibility. For the same reason, he tends to be rather attention hogging- he has trouble controlling his volume because he very badly wanted to be heard, and becomes very anxious when he feels ignored. He`s rather hotheaded when pushed the wrong way, especially when the safety of someone he cares about is in jeopardy-- he`ll go to great extents to protect others. Even with all his quirks, Takoda is an ideal practicer of being at one with the planet, and many find it relaxing to simply be in his presence. Though he may not look it, he has plenty of wisdom to offer just about anyone. The Malhotra Tribe is a large, influential tribe in the barren Wastelands of Sol. It is led by a single Malhotran Elder, who works as a shaman for the tribe`s religion, Amalurraism- a belief system revolving around the worship of Sol and it`s many wild inhabitants. While it is the Elder`s job to preach and educate, it is the Honiahaka`s job to be the living embodiment of Amalurraism. There is one Honiahaka alive at a time, and it is their sole duty to allow Sol to speak through them and protect the tribe with their power, them being the only member of the tribe permitted to adventure through Sol in it`s entirety- the current Honiahaka is Takoda, the great grandson of the Elder. The Malhotra Tribe`s numbers never exceed exactly a hundred- and as such, the birth of Takoda was celebrated, regarded as the start of a new generation. Near the time of Takoda`s birth, the Elder struck a deal with the Overlord- the soul of their protector for an open portal to the Netherworld, solely for the access of their tribe. This was tempting, and after nights of thoughts and consideration, he agreed- thinking none would be the wiser. The deal was made- but, the curse placed upon the young boy was more than originally bargained. The first time he transformed, he was no more than three years old- on that afternoon he got into a disagreement with another boy over a game, and in his slight emotional high- abruptly, he underwent an agonizing transformation into a hellish wolf. Why the exact creature was chosen as his transformation was unknown- but in a crazed, uncontrollable frenzy, that day Takoda caused more damage that the Malhotra tribe had seen in generations. He was detained with the effort of their best soldier class tribe members, and luckily they had gone without casualty- but the tribe was shaken. They hadn`t seen anything like that before. He was terrifying. Suddenly, Takoda was a risk. The Elder, with a heavy heart, deemed him unsafe to be around the other tribe members. With a gentle explanation, he forced Takoda to spend his childhood and time after that in total isolation, with only occasional meetings with the Elder in order to train him as far as controlling his curse, and Honiahaka powers went. It wasn`t neglectful, not by a long shot-- he was given his own private house and guardian, where food was brought to him multiple times a day- the Elder kept a careful watch on him. Takoda didn`t know well enough of his situation to become resentful- his ignorance was truly bliss, and it`s likely because of the time he spent alone that he`s so attention craving and sheltered now. Time moved on- and one day, the Malhotra tribe was threatened by an industrializing company known as CRAY industries. They looked to mow down the tribe and make use of their religiously significant land for profit- and after the tribe`s open defiance, they elected to straight up march onto their land and take it for themselves. The tribe fought hard- but, it was no war. They stood no chance against the privatized military of CRAY- their advanced weaponry and strategies quickly curb stomped the tribe`s primitive war methods. The Elder didn`t think twice on his decision- this was Takoda`s chance for redemption. The Honiahaka was unleashed- and transformed within seconds of seeing the tribe`s dire state. Needless to say, the incoming invasion was very swiftly dealt with-- with Takoda as the tribe`s secret weapon, the CRAY army was forced into retreat. Not only was Takoda able to prove himself and make the tribe accept him with open arms- he quickly became a well known figure among the Wastelands, and was finally able to begin to fulfill his duty as the tribe`s guardian. Although the curse still stirs some controversy among the Malhotrans, Takoda`s existence is arguably the only thing keeping the tribe away from extinction. As a representative of his people, Takoda travels Sol in their name and in Sol`s name, doing the planet`s work as a hero of his own. - He has no concept of time- what are hours to some people feel like days to him. - He shouts when he feels even a little bit ignored, it`s a nervous tic. - Malhotrans have been used as Aurumian slaves in the past. There were, at some point, far more Malhotrans than there are now-- their population has gone down a lot due to the harsh treatment of outside forces. - Malhotran numbers are dwindling, their birth rates are slowly declining. As it stands, they are at 86 members. - The Malhotran religion, Amalurraism, revolves around the worship of the planet, Sol. One person every generation is picked as a "chosen one", and granted the ability by the Elder to listen and speak to Sol. It is their duty to allow Sol to speak through them, and protect it to the best of their abilities. Right now, the person fulfilling that role is Takoda, who prays to Sol several times a day and is a very devout follower of Amalurraism. - He`s very hesitant to show people his transformation. He`ll hide it for as long as he can, until he`s forced to reveal it. + Very precise and focused, even when enraged- she has killer aim. Isadora wields a pair of bullet gauntlets on both her arms, which also act as sturdy armor to block against attacks. With each punch, they fire a heated bullet, but she is unable to use it at a long range unless she puts forth the effort to ricochet her shot off multiple landings, which she is capable of. The gauntlets can expand into a larger mode that instead of bullets, fires bursts of actual fire. 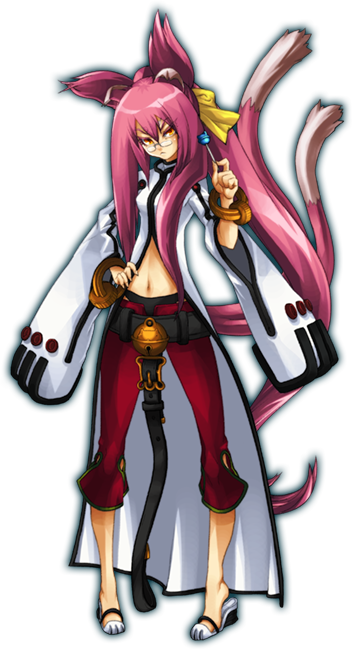 Despite her powerful weapon, most of Isadora`s attacks involve her own physical strength mixed with her weapon`s utilities. 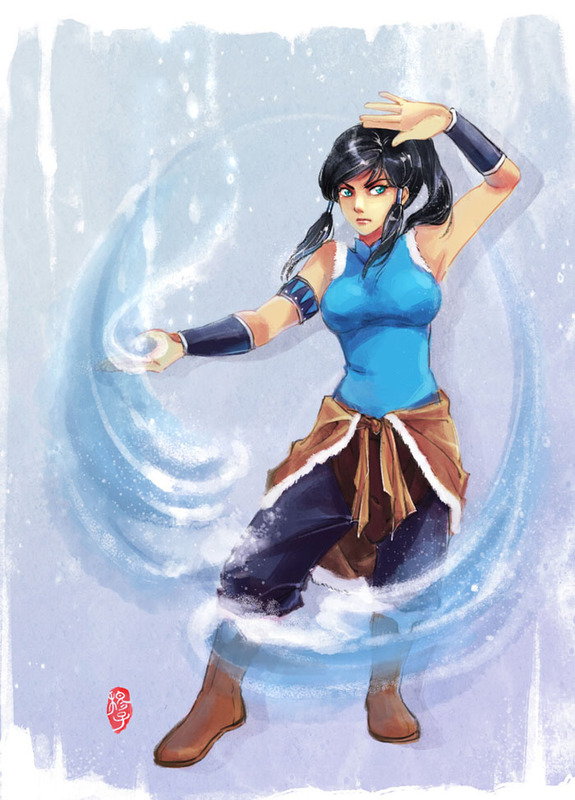 Her physical power is combined with her unique fighting style, which focuses on combos, agility, and brutality. Isadora is a vicious opponent, and always she aims many of her strikes at an enemy`s face or neck-- she shoots to kill, unless the bounty says otherwise. Because of her lack of projectiles, Isadora focuses on rushing at an enemy at close range and then thrashing them to submission. Yet despite her fast strikes, Isadora`s running speed isn`t as superhuman as other characters. Isadora was once the apprentice of a mercenary in the Wastelands, who had her gauntlets specifically crafted for her. With her, she trained her body and mind to keep up with the supernatural presences that lurk in Sol- and of course, learned to properly use her weapons to their upmost ability. She left her old master when she became an offical bounty hunter, though they do keep in contact. On the surface, Isadora is a wild, spunky, fun and playful young woman. She likes to flirt and be the center of attention, and has a rather goofy and sarcastic sense of humor. There`s a light and free-spirited air around her that attracts people, and enhances her rad wild child vibes. She takes little to nothing seriously, and makes a joke out of toying with her enemies by flaunting her sexuality-- though, she does that with allies, too. This doesn`t mean she doesn`t know when to be serious, however- she`s an ace in her guild for a reason. She`s a powerful and diligent fighter, capable of leading and commanding with ease, and has a bit of a reputation with taking beginner heroes under her wing and acting as a mentor figure. What not many people know, however, is that her fun persona is a mere coverup for her copious amount of inner turmoil- plagued with the injustices of the world, as well as her own personal quest for revenge that she`s undeniably obsessed with, Isadora`s "hero" status is somewhat questionable. While she has a definite sense of justice and a burning urge to eliminate evil, she has controversial methods of doing so- she kills without question, especially when enraged. And, she does so gruesomely, without a hint of remorse. She has a fiery temper to match her hotheaded personality, pugnacious and tends to flop between being fun and flirty to broody and sardonic. She actually has a rather bleak and depressing view on the world- one that would be rather hard to shake. The world is not always as civilized as people might think. There are still those who would follow the glitter of gold coins and become corrupted by the darker powers that flow through Sol. Isadora knows this fact well. As a young privileged girl in the heart of the Wastelands, living a simple life of school, church, sleep, repeat- her father tried to convince her of the Goddess` ever-vigilant eye. Young and naive, she truly believed that her world was one of perfect safety, until one night, when a twisted gang of outlaws took an interest in the small fortune her father had amassed, in hopes of one day relocating his small family to the more bountiful lands of Aurum, where his wife was born. The small, desolate town she grew up in was one of poverty- of them all, her father had amassed the largest fortune, and due to his infamy, it was no secret to anyone whom his daughter was. That afternoon, Isadora trotted home from the school house unaware that she was being followed. She arrived at home to the pleasant smell of her mother`s cooking-- pea soup, her favorite-- and eagerly took a seat at the table, waiting for supper to begin. That was when malevolent men stormed into their house and quickly overcame her father-- then tortured her family before murdering them. The young Isadora escaped only by hiding herself in a kitchen cabinet and then fleeing once the gang had departed (of course, after looting all their belongings), plagued by the screams of her loved ones as she ran. A burning hatred was born in her that day, one that could never be denied. One that could never be tamed or fixed. She needed her revenge. 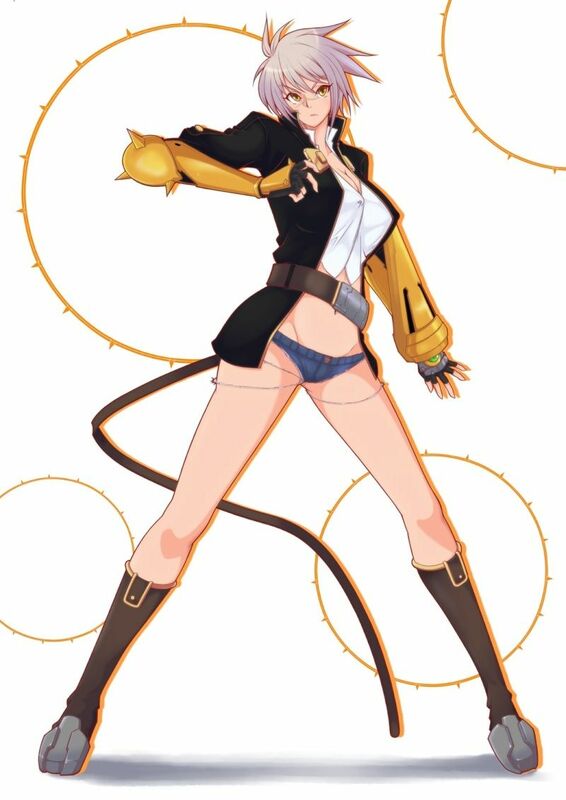 Vayne was able to take care of herself using money she stole on the street, and she began to train as soon as an instructor would have her as a student. By the time she was a fully grown woman, she had become a grim warrior. Criminals... they were a superstitious, cowardly lot. She turned herself into the essence of their nightmares, her prowess that of legends. At first, the killing had a feeling that came with it- adrenaline, excitement, then regret. But those feelings flushed from her body as her vengeful spirit grew stronger and more determined with each and every passing day. She took jobs all over the Wastelands, actively hunting for information on the same outlaws that had ruined her-- but... she could never find them. They weren`t big names, she couldn`t even find a matching bounty- they were nobodies. Delinquents. Insignificant-- they were impossible to find. Frustrated, she took more and more jobs, her infamy growing more and more- until it became apparent she would have to try harder. She needed to put herself out there, call them out, ask if they remembered her face before ripping out their innards and wearing them as her new crown. Her efforts to locate the men brought her to Oculus, preoccupying herself with whatever jobs she can find herself there- but still, her quest for revenge is burned into her mind. - She`s rather proficient at horseback riding, having learned as a child. It was the easier way of getting around town by herself. - Has a hint of an accent, what would resemble a Spanish-sounding accent. In East Touhou, lies a tranquil clan known as the Moorwynne, where Niabi was born and once lived a tranquil life within. Led by elder monks, the villagers practiced a tradition of benevolent magic and pacifism. Known for her powerful connection to the spiritual realm and beloved as a just mediator amongst her people, Niabi embraced these traditions as an essential aspect of the enlightenment sought by all Moorwynne citizens. Her inner peace was tested when the armies of Aurumian invaded Moorwynne. While the village`s elder monks insisted their peaceful ways would spare them from violence, Niabi had heard enough tales of Aurumian cruelty to openly question the elders` wisdom. Stern and unmoving, they told her to trust in tradition. When the invaders marched on the village, the elder monks rode out to negotiate a bloodless end to the battle. The Aurumian general was offended by their show of weakness and slaughtered the monks himself as he ordered his soldiers to strike the village. As the Aurumian forces advanced, the villagers prepared to accept death, bound to their peaceful vows. But Niabi would not accept death and instead saw another way: sacrificing a single life to spare many others. To save her people, she drew upon the power within and summoned the full force of her will. A burst of spirit fire emerged from her body and spiraled towards the Aurumian general. The flame took the form of twin dragons, the symbol of Moorwynne itself. It was the first time Niabi had ever used her powers to harm instead of protect, and neither she nor the villagers had ever seen anything like it. When the magic subsided, the general had fallen before her and his soldiers had scattered. The opposing forces surrendered to Niabi`s strength leaving her people, and their traditions, untouched. While the war raged on, Niabi became a formidable leader of the Moorwynne resistance, but the conflict did not end when Aurumian armies fled the Moorwynne shores. Moorwynne became divided between the resistance fighters who craved vengeance and the monks who demanded a return to spiritual tradition. The once peaceful clan is now divided-- and Niabi, shaken badly with guilt by her misuse of her powers, found herself devoted to the traditions that Moorwynne once held dear. 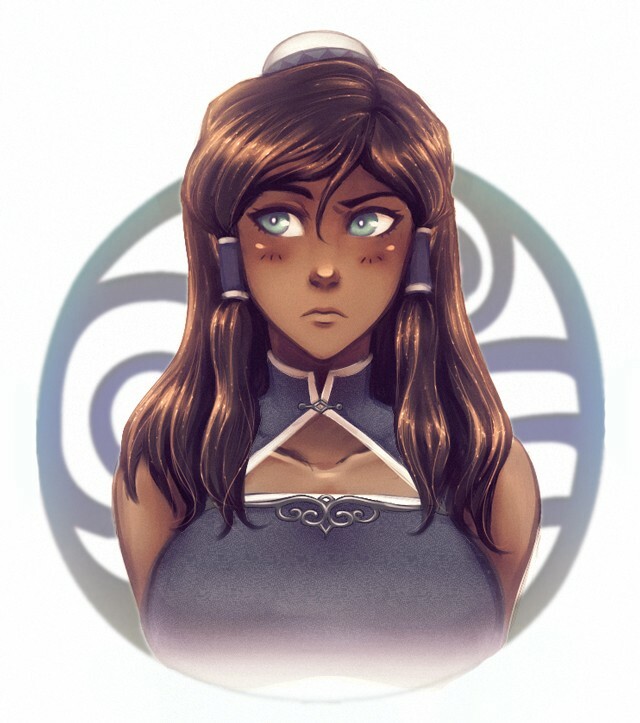 - The Moorwynne clan and it`s beliefs are based heavily on India and Buddhism, with some inuit influence. - She spends roughly four hours a day in meditation. Eighty-six (86) years old. Appears moreso in her late twenties, despite her height.